Dr. Jart+ is a skincare and beauty brand that fuses skincare with science and art. They were the first to market with the popular BB cream and are a best-selling brand at Sephora. They have received 24 Beauty Awards, 6 Design Awards, and 8 Government Awards for their innovative products. 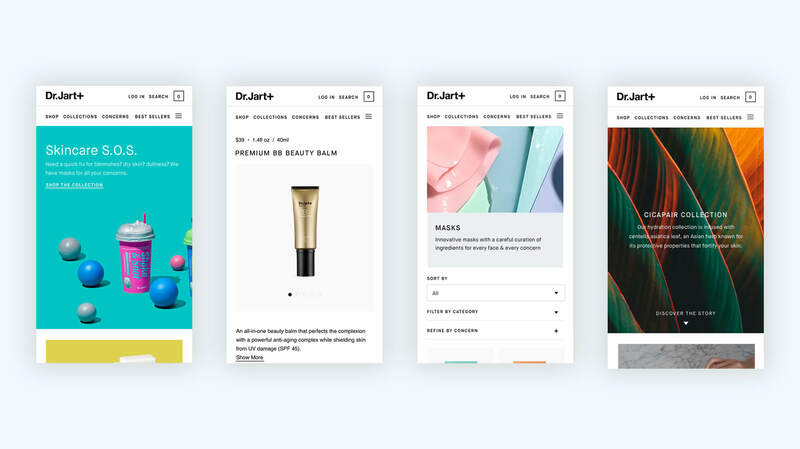 Barrel worked with Dr. Jart+ to launch the brand’s first USA e-commerce experience on Shopify Plus. Their products were previously sold exclusively through Sephora for American customers. The website features a quiz that will help customers find curated products that fit their distinct skin type and skincare goals. 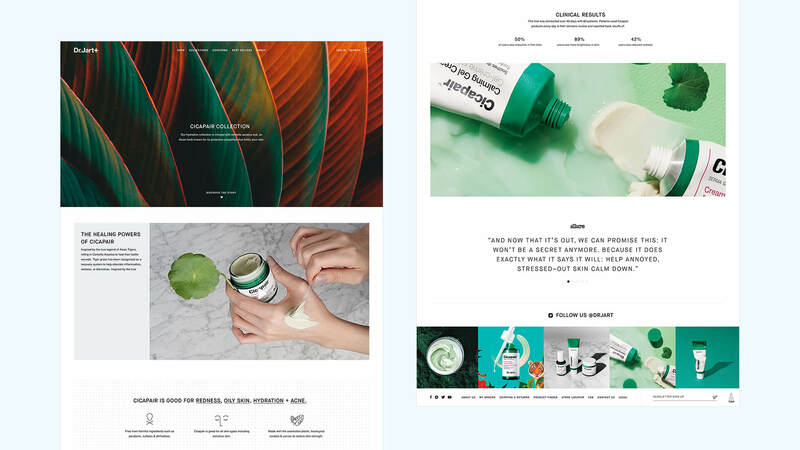 We created collection story pages to showcase Dr.Jart+’s unique product lines that have developed their own cult following. These story pages highlight the benefits of each product line and allow for future product growth. Check out the site at us.drjart.com.